Lookout! The Scots are coming! The Scots are coming!…. Alright… Pizzini has helped conquer Scottish High Schools – now our gaze rolls south… England… Mighty England… You are next… From Manchester across to Hull and all points in between… Pizzini is coming your way. 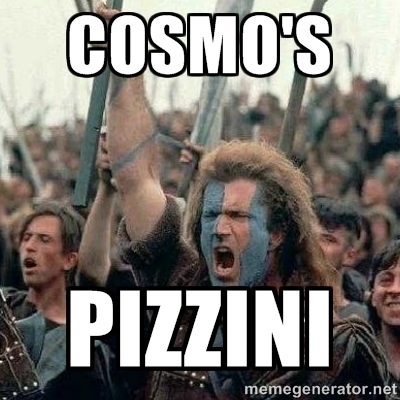 We now offer 2 varieties, Cheese & Tomato and Ham & Cheese… Its inevitable, its coming, its delicious… Cosmos Original Pizzini.